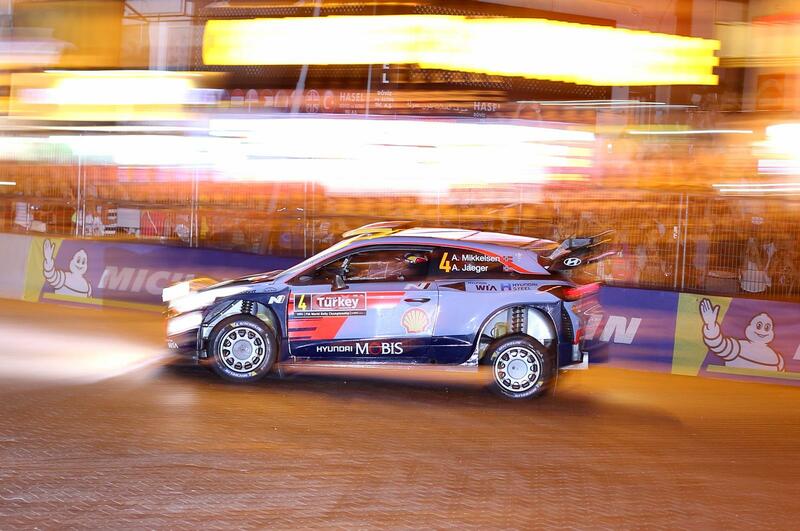 Norwegian driver Andreas Mikkelsen clocked the fastest time of 2min 03.9sec through the opening 2.45km Marmaris Full Speed super special stage that got three days of action underway at Rally Turkey in front of a massive crowd of motor sport enthusiasts and visiting tourists on Thursday evening. On a slippery cobbled stage that had been dampened by thunderstorms in the build up to the start, Irishman Craig Breen held second position at the overnight halt and Estonia’s Ott Tänak rounded off the top three. 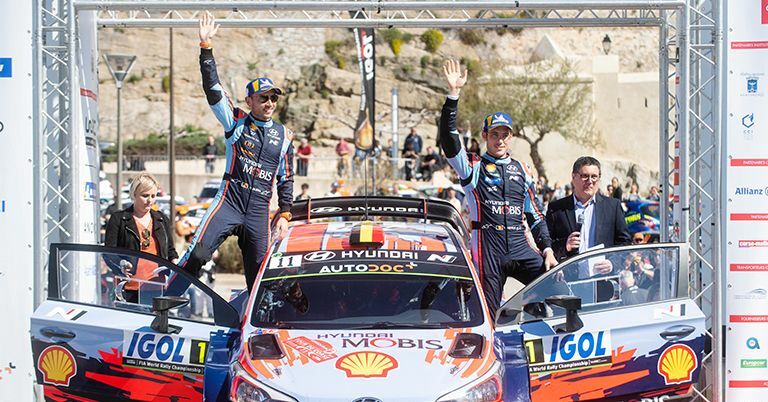 Thierry Neuville agreed a three-year extension to his contract with Hyundai on the eve of the event and the Belgian followed up the fastest shakedown time with the equal fourth quickest time on SS1 with Polish WRC 2 driver Kajetan Kajetanowicz. Defending multiple champion Sébastien Ogier survived a heavy landing and slipped outside the top 10 at the overnight halt. Forty-five teams from the original 52-car entry list and competitors from 23 nations were flagged away from the ceremonial start at the Marmaris Meydan. The leading drivers had attended an autograph signing session in the time building up to Turkey’s return to the FIA World Rally Championship for the first time since 2010. This was shortly before Citroën Total Abu Dhabi World Rally Team’s Sheikh Khalid Al-Qassimi was handed the honour of rekindling Turkey’s inclusion in the WRC by running first on the road for the opening timed spectator stage. Shortly before the start and after the shakedown stage, Jari-Matti Latvala said: “ I have been in Rally Turkey for the first time in 2004, when it was in Kemer. That’s a long time ago. We did the event there again 10 years ago and then, in 2010, in Istanbul. That was completely different. It was fast and wider and softer. Competitors will tackle two loops of three gravel special stages on Friday, starting with a daunting run through the 38.10km of Çetibeli – arguably the most difficult special of the entire rally. After remote refuelling, action resumes with the 21.90km Ula special and the first pass through the perilous Çiçekli test. A return to the service park at Asparan – a purpose-built area nestled in the mountains above Marmaris – precedes a repeat run through the three stages in the afternoon. The majority of the day’s route is shrouded by tall trees and hanging dust could be an inherent problem, particularly if there is little wind in the morning. 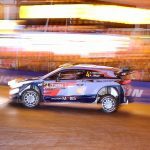 Championship leader Neuville’s disadvantage of running first on the road could, in fact, turn out to be a distinct advantage…..